Stu Jennings was born in Gippsland. 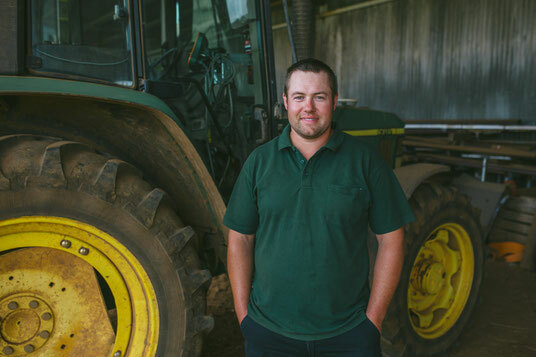 A third generation potato farmer, he works the land alongside his father who followed his own father into farming, just as Stu has done. Stu’s grandfather came here with his parents for work. Stu is married to Sandra, a Gippsland dairy farmers daughter and together they are raising their three sons on the same red soil of their ancestors. In 2012 Stu attended the World Potato Congress in Edinborough, Scotland. The trip was with a group of growers from around Australia was organised by Ausveg. While there they travelled to Belgium to visit working farms. “They operated as a Co-Op that was owned by the farmers they all sold their produce in one marketplace.” Explains Stu. When asked where he sees himself in 5 years he says, “I’m flipping a coin between successful farmer and movie star.” He’s inspired by the entrepreneur Elon Musk. “He’s a man who never takes no for an answer. He follows through on everything he dreams, to spend an hour with someone like that could change the way you think.”Stu says with conviction. They run around 1500 first cross ewes for fat lamb production and around 50 heifers for beef production. “My wife Sandra and I have started rearing calves each year to grow out as future mums.” Explains Stu. A side project making Agriculture videos which he shares through his Facebook and Instagram with his growing followers. “It’s a bit of a pet project for a Youtube channel I've created called ‘Stu the farmer’. I’ve always enjoyed playing around making videos so I thought I might as well put them somewhere and see if others are interested in similar things to me.” Says Stu who never leaves home without a camera. He’s recently invested in a drone camera which has been a welcome addition to his videography tool-kit. The simple pleasure of fish and chips and a family movie on a Friday night are high on Stu’s priority list after a big week with all three boys now at school and busy life on the farm. 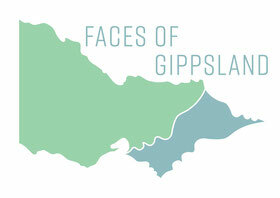 “I love being on our land, but I also love trips to the coast and high country. The safety of the inlet beach at Inverloch is a great place to take the kids in summer.” Says Stu, a dedicated family man.